How do recommendations by political analysts and political decision relate to each other? Why do some recommendations from the expert community remain irrelevant in the political sphere, while others are taken up instantly? Invest Foresight spoke on this with Leonid Gozman, renowned political expert and Perspektiva Fund president. 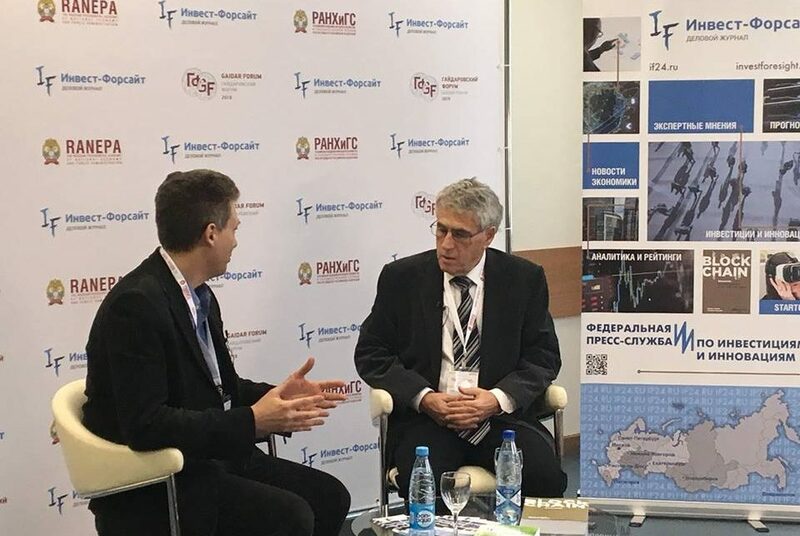 The interview was taken on the sidelines of the Gaidar Forum, organized by the Russian Presidential Academy of National Economy and Public Administration (RANEPA), where Gozman moderated an expert discussion, Political Trends: Assessment, Analysis, Forecast. – There are reforms recommended by many economists, but they cannot be accepted for political reasons. On the other hand, there are reforms that can be accepted. Do you think we have reached a stage when the range of radical reforms, which the government can agree to, has ended? – Our situation has many psychological issues. The current situation is often compared to that of the late 1980s – however, back then, there was a very scarce number of people who were aware of what should be done. Yegor Gaidar, who the forum is named after, was their leader. Today, many have an understanding of what should be done, but the question is whether there is a political, and even psychological, opportunity to implement reforms. – And why isn’t there any? – Any reforms always meet tough resistance – in case these are proper reforms. If a reform is unchallenged, it is useless, because the order you want to change – wrong, inefficient and inhuman – exists because it is advantageous for a considerable part of the elite and cannot exist otherwise. – Then why is it sometimes possible to implement radical reforms at all? – I am not a fan of General Augusto Pinochet, but he managed to carry out reforms because neither he nor his close allies were interested in preserving the existing system. – Do you think that besides the elite’s influence there are also other problems? The West has ceased to be a model for Russia. -Today, the system which is commonly referred to as liberal democracy and which remains the leading one globally as regards all economic, military and social parameters, is nevertheless in a rather deep crisis. The entire Western civilization is facing a political and psychological crisis; in this sense, the situation today is more complicated both for us and for the whole world. This is an intellectual challenge for Western civilization. – Are there forces in Russia that are interested in modernization? – People of the Russian Federation are interested in modernization. Sadly, today the reality of our political system is that the part which is aware of its interest in modernization does not have a strong political representation. There is no opportunity to lobby its interest – but the interest is certainly there and, I believe, it is very strong.